Checkdisout #6: Future Mobility on February 16, 2012 looks at new developments within mobility and personal transportation. 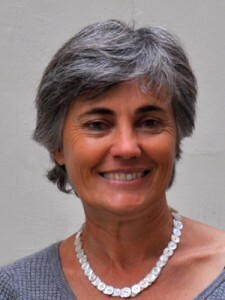 Robin Chase is one of the world's leading entrepreneurs around transportation services. With her work she focuses on ways in which technology can be used to maximize efficient use of precious resources. She is the founder and CEO of Buzzcar, a peer-to-peer car-sharing service based in Paris. Robin is also co-founder and former CEO of Zipcar, today the world's biggest car sharing service. She is currently a Board member for the World Resources Institute, on the US Department of Transportation Intelligent Transportation Systems Program Advisory Committee, a member of the World Economic Forum's Transportation Council, and a member of the National Advisory Council on Innovation and Entrepreneurship. You already founded two ventures around sharing cars. What is it that made you start a third one with Buzzcar? Robin Chase: I think transportation is the center of the universe. No one realizes it, but I do. (laughs). Transportation is a central part of our day. It is an enormous environmental challenge. It represents a significant amount of our own personal expenses. There are huge improvements to be made. Now, I know a lot about it. And I love it. With Zipcar I did not know anything about transportation. Zipcar was my introduction to transportation and through that I realized how fascinating it was and how central it was to people’s lives and the environmental costs around it. Technology continues to evolve. And it opens up more and more opportunities with the things that we can do around mobility. It seems like there’s not yet the perfect solution to all the different mobility needs. All three companies you did have different approaches- one is very flexible, the other one is about bringing people together, the rides, and the third one is about people that don’t use their car so often and decide to share it. I try to figure out how to not have cars. Now that I am older and wiser and have been in this industry for a while, I can say with complete confidence: we must have a wide range of options in transportation because people go from being zero years old to being ninety; they have different amounts of money, different amounts of ability to move, different amounts of independence, different amounts of income. How you move a two-year old is not how you move a 28 year old, or a 48 years old with children. A rich person, a poor person, a city person, a country person -- all have different needs. To answer transportation issues we really, truly do need to have a variety of possibilities. When I look at the pieces I have worked on, the places where they come together is this idea of excess capacity. I am totally fascinated by excess capacity and its economic and environmental benefits. We can really tap into excess capacity now thanks to the Internet. You can find and search for very specific localized things and share them very quickly. The transaction costs are low to find something, to reserve it, and to pay for it. This is what made Zipcar possible. It has also opened up the ability for carpooling to take off in a way that was less difficult before, and also peer-to-peer carpooling. All three of those businesses really rely on advances in technology. And in my case now with Buzzcar, I am leveraging advances in smart phones which means that users have access to the Internet at all times, as well as geo location. Those are new tools to answer these same old problems. It’s a pretty complex topic, right? You said we have very different needs towards mobility within our lives. It sounds like a real education issue because nowadays people just say: yeah, I just have my car and that is all I need. How do you educate people to use all these different modes of transportation? Remember when you were 15 and you were completely trapped and limited by where your parents want to take you or where you can go by yourself? You didn’t like it. Remember how frightening it is think that you’re driving on the same road as very old people who shouldn’t be driving, but are, because of lack of choice? I think we are quick to recognize those things that we don’t like. The part that needs a little more education is the cost of driving. In France it is about 6,000 euros a year on average to own a car. That’s about 18 Euros a day. And people truly, deeply do not believe that number and do not feel that number. Although it is eating 15-40% of their household budget. And when we think about that number rationally, we know that it is going to be increasing, because we are going to have more carbon taxes, we are going to have congestion pricing, we are going to pay more for parking. And the cost of fuel is only going up. You don’t like it when you think about how much it really costs. Basically, if we look at it rationally over our entire lives, we can realize that a car-only system works just part of the time, absolutely not all of the time, and that the more options we have, the better. The USA are known as a car-loving country. And the car itself is a symbol of freedom and all of that. And cities are also built around cars. Yes, but a study of eight industrialized countries suggests that passenger travel has peaked around 2003. Young adults are getting their drivers licenses later and later, in all continents. In the olden days, once you turned 18 and started to earn some money, the number one purchase was: get my car! Number two was get an apartment and move out. Today, item number one is: buy some cool piece of technology. Item number 2 is maybe taking a fabulous vacation someplace. Getting a car is number five or six, or maybe not even on the list. I think that really holds true across all of that generation. Their first dollar is not programmed for a car. For a large percentage of the population, this spending pattern has changed. We’d rather buy something else. The car’s primacy is dying. There seems to be a value-revolution in some sense, it is not only the car where you go away from ownership to sharing. You have all these bike schemes, you have the Airbnbs and whatnots where people say we want to make use of this excess capacity that we have. Where do you think does this shift come from? Let’s go back to that idea that my first dollar was spent for a car, and now my first dollar is spent for media and something else. In the olden days, I only had one choice to demonstrate my status. And that was through material goods. That was my only method of demonstrating status. Today I demonstrate status more through the size of my personal network, the number of people who follow me, who I follow, that I did a YouTube piece and it went viral, and how many people read my blog. We have all these virtual status symbols that have diminished the status value of material goods. Material goods are no longer the only game in town for status. Now I can have status in these virtual ways. And I think that that really has led to the demise of the value of the car. Because the car was bought largely on status, right? Today I think people don't create their status and their attractiveness based on the car anymore. When I launched Zipcar, my investors would say to me: oh Robin, you know (sharing) cars, Americans will never do it! Sure that’s a European thing, but we Americans, we love our cars, it expresses our ego, it’s everything. But Zipcar demonstrated otherwise. People who use shared cars have status: Look at me! I’m driving a BMW! And I am financially smart- I am even cleverer than someone who owns their own! I drive this BMW today and I don’t even have to worry about who repairs it, and I don’t have to park it. It’s a higher status. So I think people still have, when they are in that vehicle, all the pleasures of that nice-car status. I don’t think they feel particularly diminished. Those who seek status with the cars, I think they are still getting that status. Those who don’t care are using it as a practical tool. But that’s what’s different with car-sharing! So let’s talk about car-rental. Car-Rental is: I do it once a year, twice a year. It’s an event. And it’s like a hotel room. I don’t care about it. Car sharing, on the other hand, is part of my daily existence, and I am using the same two or three cars that are around me. Car2go will not give me this feeling of familiarity and ownership. But Buzzcar and Zipcar, it’s the same two or three cars. They feel like they are my cars, I take care of them, I walk to the same one, I know what it’s like to driving, I know what it smells like, I know how to adjust the seat. It’s my car. I’m familiar with it. It’s in my daily life. It’s not like a hotel room. That’s a really good metaphor actually. Car rental is like a hotel room. Car sharing is going to your parent’s house. You know it inside out. That’s where the personal aspect kicks back in. It’s about the community and getting accustomed to the car. And it’s familiarity, because it is a specific car. When I think of car2go -- right here in Paris we just started Autolib -- you definitely have no attachment for those cars. They are all exactly alike. You don’t care about this car. Think about if I gave you 400 pens and you are holding one and you loose it, then you just get another one. Because they are all identical and there are 400 of them. It’s not like people are trying to be careless but it feels like it has less value because I see another 3000 around Paris. Whereas with car-sharing it is a very, very specific car. It’s this specific car with this specific name that lives in this specific location. And it’s not like any other one, it’s the one that I know. Today there are all these different kinds of services around automotive mobility popping up: be it Buzzcar, car2go or Autolib in Paris, they all seem to be very urban concepts. Do they also work in less populated areas? Buzzcar is the prime example for this for thinking about this. We’ve had people who have rented a car in less populated areas, and we’ve had people rent in cities where there was no traditional car sharing. Because the economics are totally transformed when I’m using excess capacity, Buzzcar can satisfy car sharing demand in any amounts that exists in any density. If you live in a small village, how will these cars be used? They will be used as replacement cars, when my car breaks down, I borrow my neighbor’s car, or they’ll be used as a specialty car: I want a smaller car, I want a bigger car, I want a flatbed so I can buy wood or trees or whatever. You can only fill these small demands with peer to peer carsharing. When I look into the future of how this will change the environment, it means that people’s own personal cars will be smaller and they won’t have second cars that they own personally. We’ll have one car per family and it will be the smallest one that serves me 80% of the time and the car I need for the remaining 20% of the time, I’ll rent. Right now people buy the car that fits their most expensive use, so they buy the car that they can take the family vacation with two weeks a year, whereas 80% of the time they are driving alone in their car. In the future they’ll buy the car that fits the smallest need, rather than today we buy the car that fits the largest need. And then I will rent to fill my supplemental need in those places that are far away. Limited seats. Tickets are only available through: www.checkdisout.com. Regular Tickets: EUR 15. Corporations and agencies: please support Checkdisout by purchasing Business-Tickets at EUR 30 per Ticket, discounted tickets for students etc. are available for EUR 12. Checkdisout ist organized and hosted by Matthias Weber in association with Kuntsverein Hamburg.